“Another view” is an occasional series of posts presenting the sites and areas we see on our travels through the eyes of writers. From the great ancient sources via travellers of recent centuries to contemporary literature, it aims to reveal different perspectives across space and time. It seems generally agreed that Bodroom occupies the place of the antient Halicarnassus: and a more inviting, or convenient situation could hardly have been selected for the capital of the kingdom of Caria. 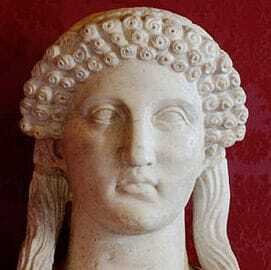 It rises gently from the head of a deep bay, and commands a view of the island of Kos, and the southern shore of the Ceramic gulf, as far as Cape Krio. In front of the town a broad, square rock projects into the the bay, on which stands the citadel (…). On the western side of the castle there is a small harbour, antiently formed by two stone piers which are now demolished: it is still, however, a snug port, frequented by the small Turkish cruisers, and there is generally a frigate, or a sloop of war, upon the stocks. 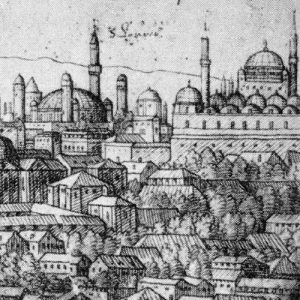 The Seray, or palace, stands on the margin of the harbour, as well as some small moskes (…). Portrait of Sir Francis Beaufort by Stephen Pearce, National Portrait Gallery (London). For those who have travelled in Western Turkey (e.g. 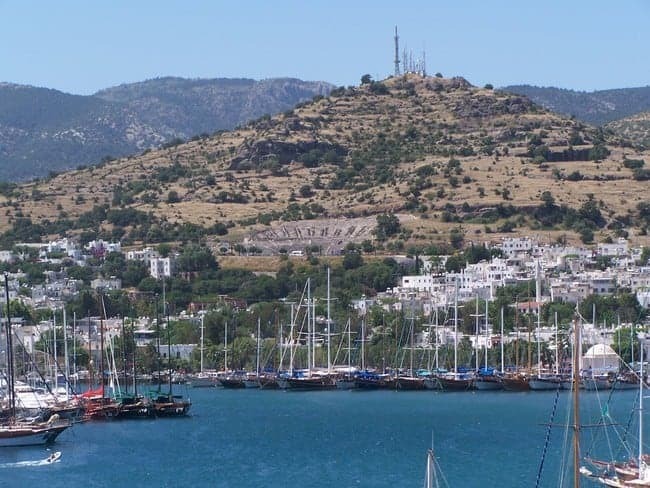 on one of our gulet cruises), the description should be familiar enough, even after 200 years: notwithstanding the idiosyncratic spelling, it is of Bodrum, now one of the busiest resort towns on those shores. If it was apt to start our “Another view” series with Pausanias himself, it is no less appropriate to follow with the author of the lines above, another pioneer whose work is significant for much of what we do in Turkey: Sir Francis Beaufort (1774-1857). Born in Navan, County Meath, Beaufort was of Anglo-Irish stock. He must have been quite an extraordinary man. Having left school at fourteen to join the navy, he saw service in the Napoleonic War, later became famous as a marine surveyor, rose to the ranks of first Captain, then Admiral, and eventually became Hydrographer of the Navy. 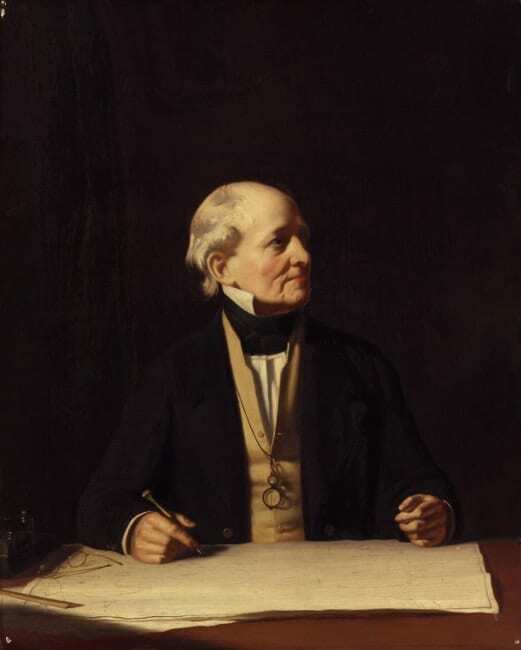 His most famous achievement is the invention of the Beaufort Scale, but there are others: for example, it was Beaufort who suggested that the H.M.S. Beagle’s expedition be accompanied by a certain Charles Darwin! 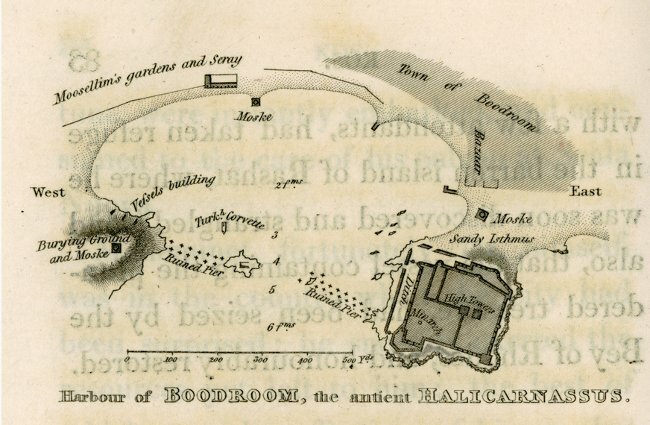 Beaufort’s 1817 publication includes a fine sketch map of Bodrum harbour and castle. (…) Above the town, are the remains of a theatre, which measures about 280 feet diameter, and which seems to have had about thirt-six rows of seats. We observed many other ruins in the vicinity of the town, varying in character and apparently in age, and well deserving the attention of the antiquary. Among these it may be supposed that we searched with some eagerness, during our short stay, for some traces of the celebrated mausoleum: but our toil was entirely fruitless. No wonder Beaufort did not spot it: the Mausoleum of Halicarnassus had been reduced to its very foundations by the Knights of Rhodes centuries earlier. Yet if it stood on the higher ground behind the present town, or even if its site is now covered with modern houses, still it is scarcely credible that the remains of a building of such peculiar shape, and of such sumptious execution, should have been so completely removed or destroyed, as to leave no vestiges by which even its position may be recognised. 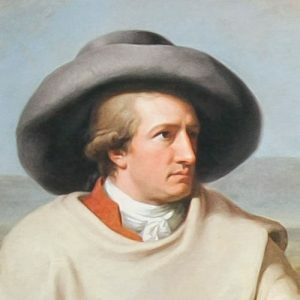 (…) I should be almost inclined to imagine, that the present fortress occupies the place on which that superb monument had been erected. (…) The numerous pieces of exquisite sculpture, which are inserted in the walls of the castle, may perhaps add some weight to this conjecture (…). Beaufort is both wrong and right here. 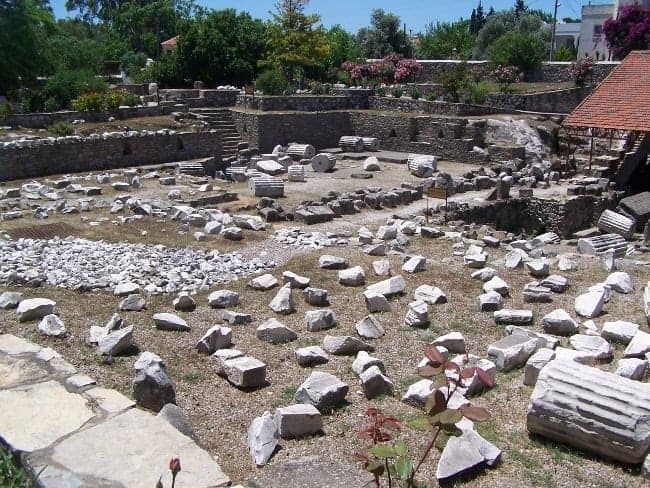 The 4th century BC Mausoleum of Halicarnassus did indeed stand on the higher ground where he failed to spot it (its site was discovered some 40 years later by Charles Thomas Newton). However, during the 15th and 16th centuries AD, the ancient monument had been quarried and effectively obliterated by the Knights of Saint John (also known as the Knights of Rhodes) to provide building material for their castle. Thus, in recognising the spolia built into that edifice, Beaufort’s instincts were correct. You can follow in Francis Beaufort’s footsteps (and those of many other historical characters and travellers) on many of our cruises, e.g. 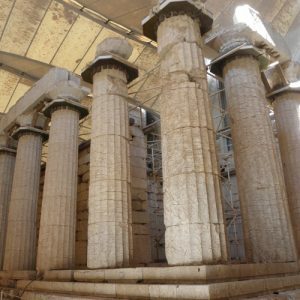 on From Halicarnassus to Ephesus or on Cruising the Carian Coast.